For the first time, in parallel to the 5th edition of the International Degrowth Conference in Budapest, an open festival will welcome discussions, public panels, artistic performances and exhibitions, practical workshops and convivial events all over the city. 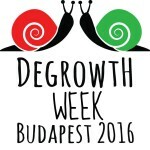 Between August 30th and September 3rd 2016, the Budapest Degrowth Week will introduce Degrowth to Budapest and its inhabitants. All the events of the Degrowth Week are public and free – please note however that some of them might require prior registration, or rely on donations to be carried out. This open platform for Degrowth dialogue, practice, networking and expression will offer the opportunity to build bridges between scholars attending the Conference, civil society and practitioners. Some of the participants are key actors in research, while others invest energy in local initiatives and alternatives. Working hand in hand, this growing community aims at creating a space for dialogue, towards more sustainable and desirable futures. Whether you are already involved in alternative projects or just curious about the solutions that are being debated and experienced, join us for the Budapest Degrowth Week! In cooperation with our main partners, the Budapest Degrowth Week will give everyone the opportunity to participate daily from 16h in degrowth-related activities such as practical workshops, participatory discussions, exhibitions or book presentations. Each evening in partner venues, the evening plenaries will be live streamed from Corvinus University, with the possibility to have dinner during the live stream before enjoying a convivial evening and concerts. Our partners, namely Aurora, Golya, Müszi and Szimpla are looking forward to welcoming you in their community spaces which contribute to Budapest’s social, cultural and political life. Therefore, keep an eye on our website and Facebook page! Join us at the end of the summer, we are looking forward to seeing you during Degrowth Week! 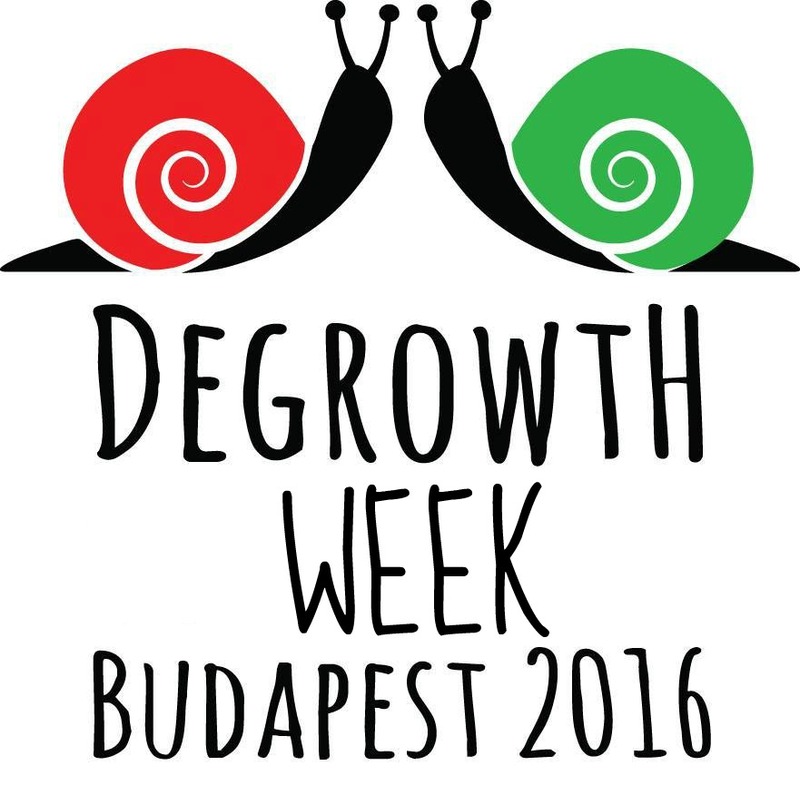 If you cannot come to Budapest, you are kindly invited to relocalize your own Degrowth Week events. For more information, follow the link here. Book presentations: presentation of a book, followed by a short discussion. Panel discussions and/or participatory discussions: discussions in different formats (from lectures, followed by discussions to round tables) will be offered all around the week. Workshops: practical and theoretical workshops, engaging participants in a variety of activities (from repairing bikes to elaborating on degrowth related concepts). Visit tours: several partner alternatives open their doors and invite you to visit them. Conviviality, art and degrowth: every afternoon and evening, open events for conviviality will take place. Formats will include concerts, films, parties, exhibition, plays and performances. All events will be open for wider public and take place all around the city. These events will be open to the wider public, but priority access might be granted to people who registered for the Conference, especially for those events that have a limited number of places (for e.g. visiting a farm). After the closing plenary, participants will gather to form a Parade that will march to Kazinczy street, where a set of activities will take place. A key feature of this street festival will be the call for de-motorisation of this vibrant, convivial and open-minded street. The Street Festival will be followed by a Jam Session, and later by a concert marking the final party at Müszi.